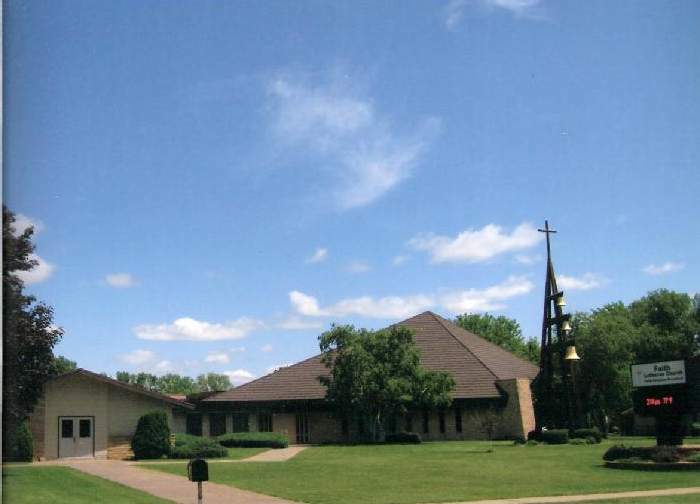 Join us in serving our friends and neighbors in Chippewa Falls and the surrounding communities. 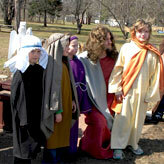 Faith Lutheran Church offers many ways for you to serve the Lord by helping others. This group is responsible for serving wedding and funeral meals, making quillows for graduates, recognizing members on Mother's and Father's Day, quilting for Lutheran World Relief and local community needs, working at the Bethesda Thrift Store, collecting monetary gifts for the missions of the LWML, making noodles, and organizing the hot dish committee. The women are also responsible for several events throughout the year including the Palm Sunday Bake & Craft Sale, Caring & Sharing, Christmas Bazaar, Homemaker Luncheon, Election Day Bake Sale, and LWML Rally. 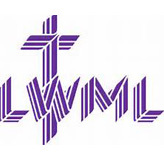 Learn more about the LWML. A project of the Chippewa County Council on Homelessness and Hunger, Agnes Table serves meals to our less fortunate neighbors in Chippewa County. 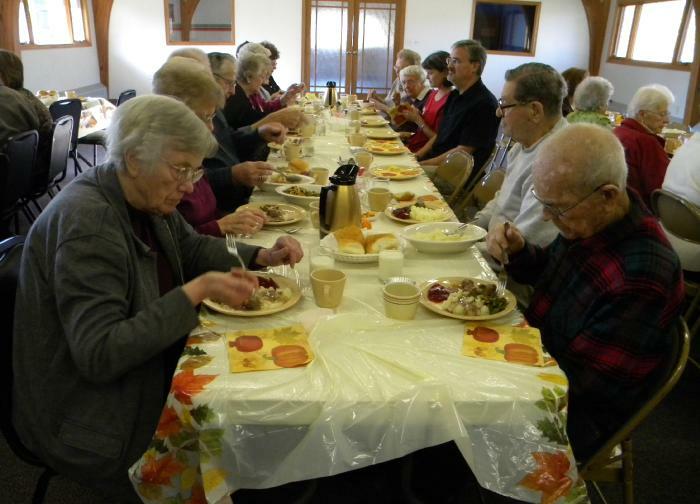 Faith Lutheran began its involvement with serving Agnes Table in 2007 and has committed to serving six meals a year. We call upon our congregation for 12-15 volunteers to prepare and serve each of the meals. 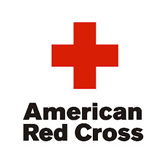 A division of the American Red Cross, the Bloodmobile relies on Faith Lutheran Church to host two or three blood drives each year. We call upon our congregation for volunteers to assist with recruiting donors and collecting the blood donations. Faith has hosted the bloodmobile for over 20 years. Since 2008, our congregation has opened its doors to the community in presenting seven scenes from the life of Christ, beginning with His baptism and ending with His resurrection. The cast is comprised of congregational members, and the event is open to the public. Our congregation has been responding to the need for clothing in our community by hosting a clothing giveaway at the end of August. This is a family-themed day of fun, including fire trucks, music, face-painting, crafts, and snacks. Clothing leftover from this event is donated to the Chippewa Closet, an agency dedicated to providing clothes for the needy. 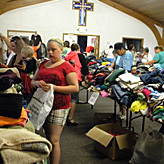 During late summer, quarters are collected weekly from members attending worship for the purchase of backbacks filled with necessary supplies for the needy children in area schools. 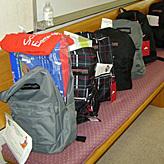 The schools' guidance counselors distribute the backbacks to the students. In November, the members our our congregation support local families in need by collecting food donations of dinner items to make a Thanksgiving meal. 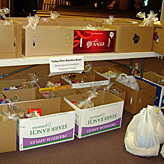 Generally the food box consists of a turkey, potatoes, cranberries, cans of vegetables, buns, and a boxed dessert. The boxes are submitted to Chippewa County Social Services for distribution. Provide spiritual care for the shut-in disciples of our church by joining this team. Regular visitation of those who are unable to participate fully in the community is an important part of our ministry at Faith Lutheran Church. Since 1998, lay people from our congregation have visited our shut-in members. Send cards to people who have been hospitalized or have had surgery. A card may also be sent when a disciple is celebrating a milestone such as a birth, wedding, or special birthday. 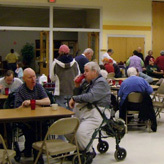 Prayer requests or recommendations of the congregational members are the source of recipients for this care ministry. Visit disciples of Faith Lutheran who have been hospitalized. Upon special training by the pastoral staff, you can become a lay person able to provide spiritual care to members of our congregation recovering from surgery or illness. Visitation team members are given assignments by the pastoral staff. Bring to church and deposit any of the following items in the receptacles in the cloakroom.